GIWOX Hologram Fan: this can display photos and videos in 640p resolution. 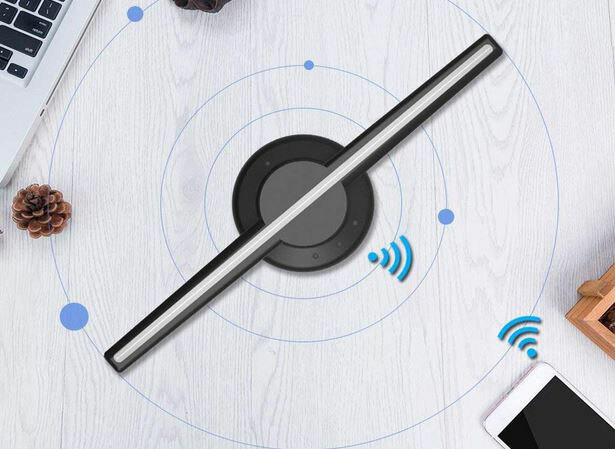 It works with your smartphone over WiFi. It has 320 LED lights. Merge Cube: lets you manipulate holograms with your hands. It merges digital and physical worlds and works with VR & AR goggles. Hologram Viewer: a simple plastic and cardboard kit that turns smartphone images into holograms. You will just have to download the app, create your content, and place your phone into the hologram viewer. 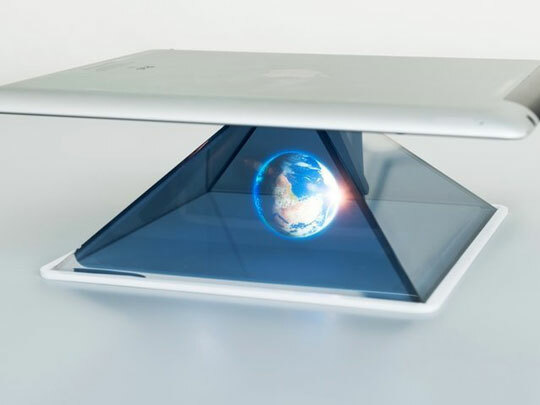 3D Holographic Pyramid Box: a simple kit that displays images on your smartphone in 3D. It works with smartphones from 3.5 to 6.5 inches. 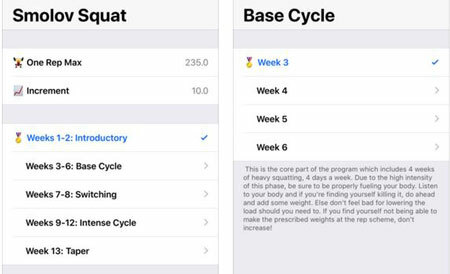 Simply put it on your smartphone to get started. GIWOX Holographic Projector: a 1024p holographic video projector that can serve as a 3D advertising display for your place of business. It is compatible with iOS and Android devices. HOLHO: a hologram generator for your iPhone and iPad. It has 4 faces to project a 360-degree picture. 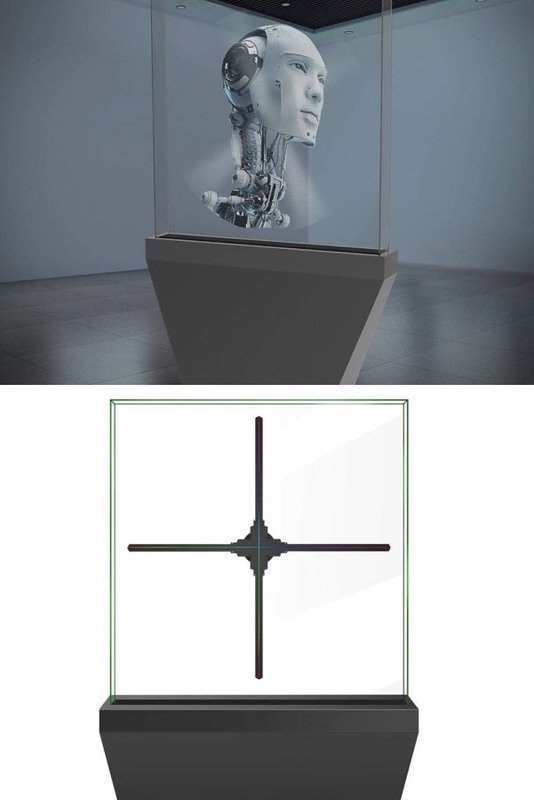 The image to be projected is divided into 4 images and reflected on the 4 surfaces of the pyramid to create a hologram. 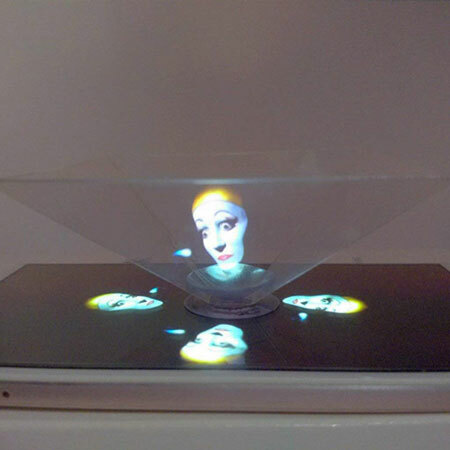 Have you found cooler holographic displays and viewers? Please share them here.